Just when you didn’t think your safari could get any more relaxing, we go and prove you wrong! Here at Garonga we pride ourselves on our motto of being a ‘Safari for the Soul’. While the Big Five game drives and encounters with wildlife is a huge drawcard, it’s only half the safari experience at Garonga. Equally important is slowing down the pace of life, nurturing yourself, and ‘resetting your system’, so to speak. 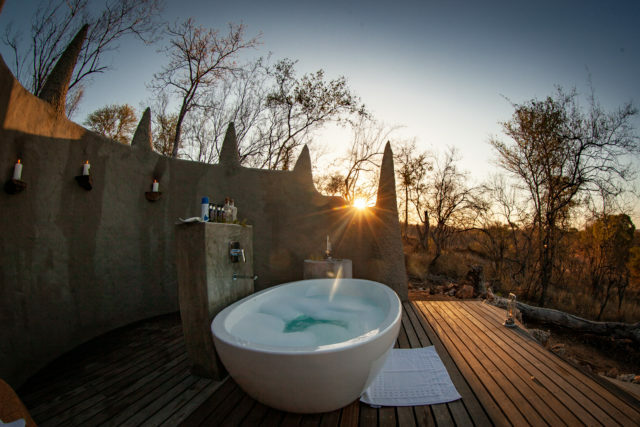 That’s, of course, why we offer the Bush Bath and Sleep Out Deck, which are complimented by luxurious accommodation and nourishing, hearty food. And it doesn’t stop there. A stay at Garonga isn’t complete without a visit to the Massage Sala, and not to worry, very few people come out without a bad case of ‘pillow face’. It’s time to get starry-eyed! 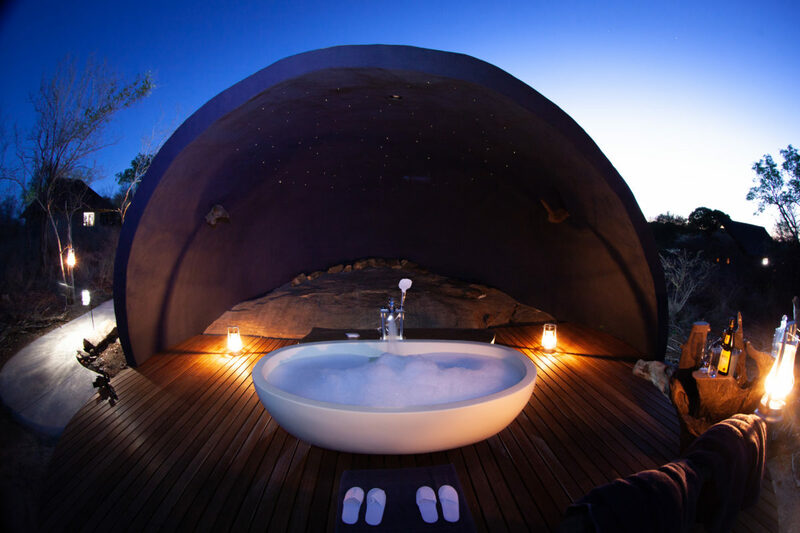 We bring you the dreamy Star Bath – a whole new alfresco bathing experience. We’ve added a special touch to the original Bush Bath experience. Now you can get lost in the view of a dazzling African night sky as well as our very own galaxy of twinkling stars, all in complete privacy. Soak away your troubles, let go and look back on the sightings and experiences of the day with a glass of wine in hand. It sounds like bliss because it is! Those already familiar with the practice of mindfulness and meditation, or those that just love a good stretch or daytime nap, will be excited to see our new Yoga Deck. An enclosed tented structure designed to allow air to flow freely, perfectly frames an exquisite view of the valley. 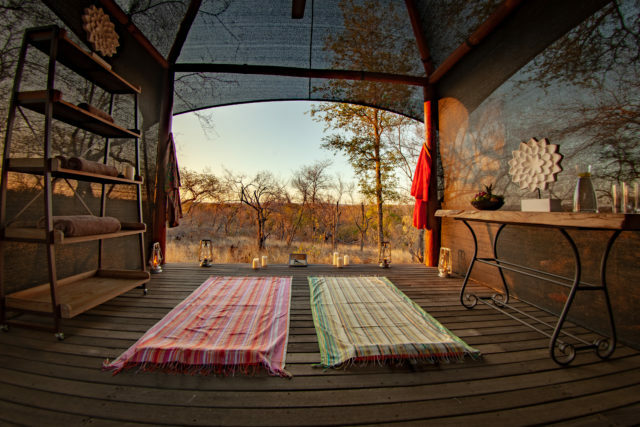 You can step onto the mat and practice in privacy surrounded by only the peaceful sounds of the surrounding bush. If you’re lucky you might even get some of the local wildlife passing by! 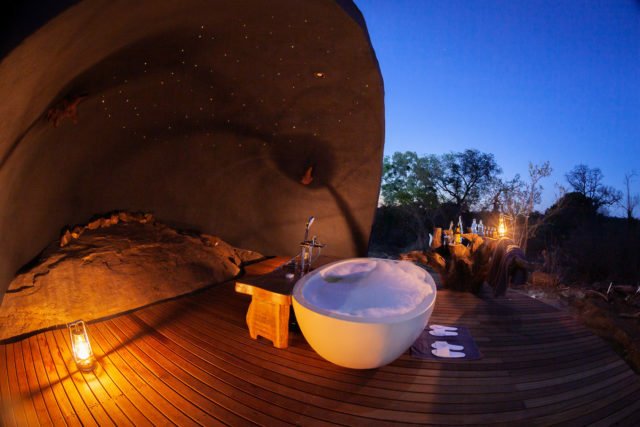 Not forgetting our existing Bush Bath, which continues to be a much-loved feature at Garonga. It received the full luxury treatment and make-over with a brand-new freestanding bath. If you’re looking to leave your troubles behind, completely unwind and indulge your senses, then we can certainly help you by offering the ultimate in soulful spa/safari experience.